Attempts to deceive the program exist exactly since computer games do. Cheating is more or less spread in every popular game, but today we are going to talk about Counter-Strike: Global Offensive. The overwhelming use of cheats and forbidden commands influences the game directly. This trouble exists as for average players as for esports-level tournaments of the highest caliber. Let’s try to find out what cheats are for CS:GO and how they inflict the player’s skill level. If to compare esports with regular competitions and computer cheats with doping substances, then the pack of forbidden commands named Multihack WinX Private is a huge dose of the most powerful stimulator. 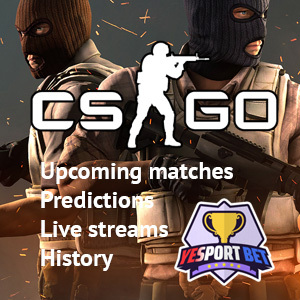 It can function on Steam versions of CS:Go and is used by hundreds of thousands of gamers all over the world. Aimbot – a “humanized” program that lets you shoot heads one after another without putting any efforts. The aimbot works exclusively: it is very difficult to distinguish if the player uses hacks or has a natural talent to hit enemy heads with automatic weapons. Triggerbot – aimbot alternative. Lets you burst some bullets into the enemy as only their body appears in sight. It works on pistols and sniper weapons as well. It is very difficult to duel against the hacker aimed with the “triggerbot”. Compensation – recoil compensation with two activation modes. The “no spread” function switches the spread off while maintaining recoil and correcting the hacker’s sight horizontally. The full compensation lets players send bullets into one point with the minimal spread. The cursor correction works for two axis (horizontal and vertical) and turns even the most inaccurate weapon into the perfect sniping equipment. 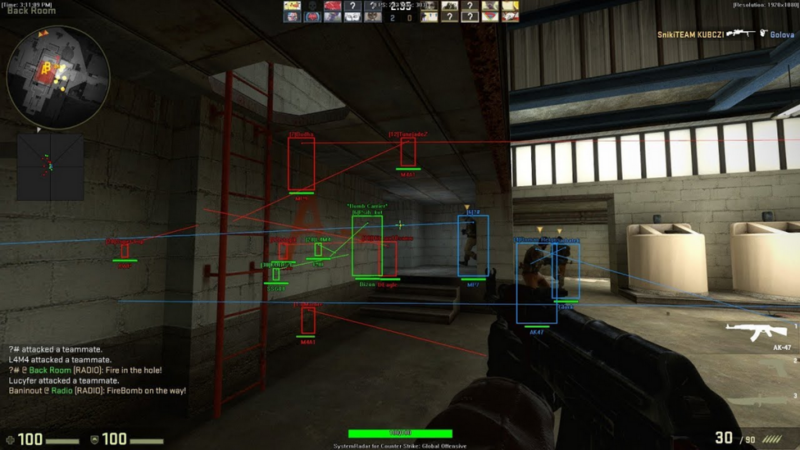 Radar – the CS GO hack letting the player to see all enemies on the in-game radar. Nobody will sneakily hit you from behind. It is comfortable enough, isn’t it? ESP from Wallhack supplies the player with some kind of X-ray vision. Whatever hides an enemy – a wall, furniture or a door – their body is lightened with the bright yellow color on the display. Wallhack – is the internal hack that allows displaying the game in the full-screen mode without using the separate window. Has the function of seeing enemies through walls. The magic vision is activated by a Delete key. It lightens allies with the friendly green and enemies with yellow. CS:GO hacks connected to the radar or wall-lightening may not always work properly. It is so because of a server function having the pvs_min_player_distance variable activated. This variable limits the distance of other player’s data sending and increases the chance for the inexperienced gamer to get hit by CS GO OverWatch. Other packs of forbidden commands usually include mentioned hacks with single individual commands added. For instance, the EZFrags multicacks includes NoFlash function in addition to tricky sights and radar. When the NoFlash function is active, it makes impossible for anyone to blind the player with flashbangs. This super-vision lets the player kill relaxed opponents easily but it is very easy for enemy team players to notice it as well. This causes reports or even permanent account bans for hacking. After a large number of reports touching the potential cheater (6-8 per day) appears, the demo-replay of the certain game is sent to the OverWatch expert review. Judges vote to decide if they should justify the player or to send the replay to higher cabinets – members of the game developing team. They are who state the final sentence. The OverWatch system is called to help the main anti-cheat program (VAC – Valve Anti-Cheat) catching most hackers. The human factor is a coin of two sides. On one side: expert players can frequently catch cheaters because of having much game experience. On the other side, humans make mistakes and can ban innocent players. No matter what, CS:GO developers try to fight cheaters actively with all possible ways. Still, they are very far from the total success. Why Players Use CS Hacks? It seems that computer games are created to satisfy players with gameplay itself. Why should you use cheats, try to deceive a program and to gain victories which haven’t been deserved? The answer is simple: everyone wants to win and to be better that other people. Not everyone can reach that goal on their own without help or cheating. That is why people create new hacks, pay money for them, and put huge efforts to prevent getting caught. The CS GO rank boosting, personal stats improvement, the possibility to win a tournament: these all are great motivation sources. What is bad is that many people try to reach all that not with their skill but cheats.